In between christmas and New Year Lolly took time off and I finished work a little earlier than usual. 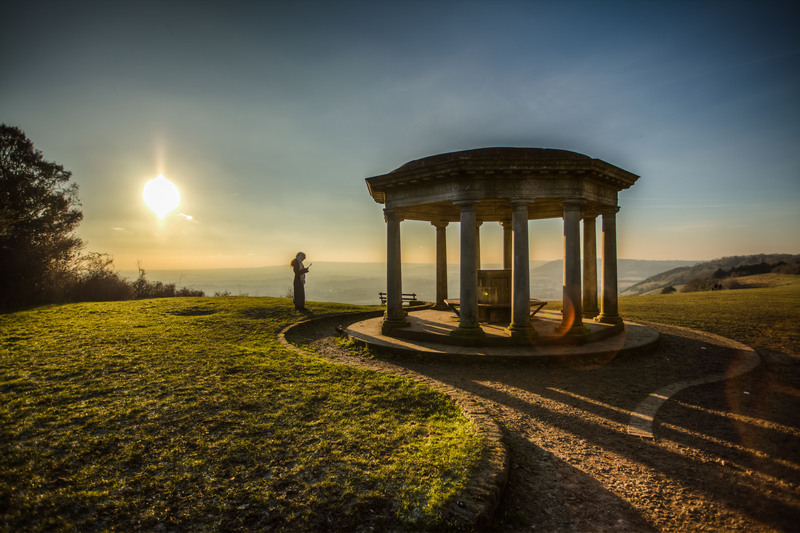 Not much happens in that time and after indulging and generally lazing about as you do over Christmas we needed to get out and stretch our legs..
Reigate hill isn’t too far from us so we figured we’d head up there and have a nose. There’s plenty of parking and a refreshments hut that sells tea and coffee’s, snacks and only takes cash, there is a marked walk around Gatton Park and there’s the National Trust walk we did that’s as confusing as all the other one’s we’ve done. 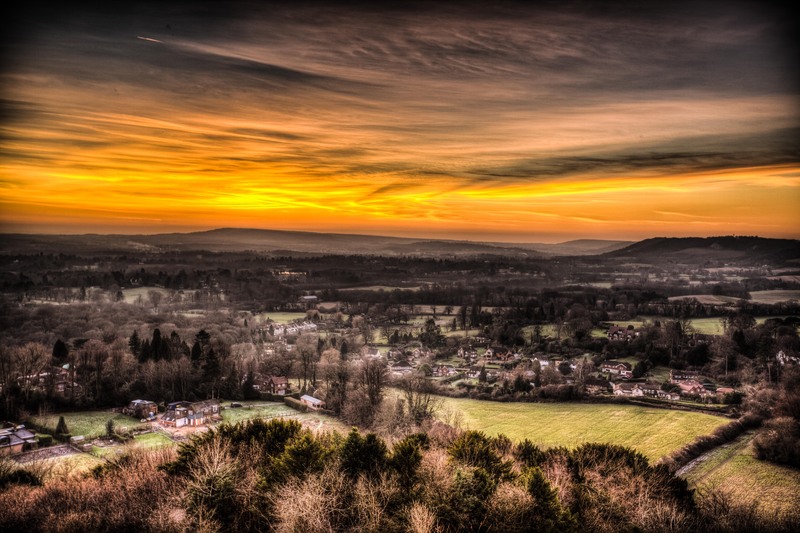 The first thing we came across was Reigate fort, the fort was built in 1898 and is one of 13 along the north downs, there’s another one at box hill you can have a wander around and the 13 forts ran across 72 miles, for more information click here. From there we followed the track and came out by some grassland, there were some quite hairy cows munching on the grass and we were greeted by a stunning view and the Inglis memorial viewpoint indicator which is pictured below. Whilst I was snapping away Lauren consulted the walk guide and before the sun set we headed off, we must have been gone for about an hour or so heading down and around the hill and then back up again finishing up at the van for a cup of tea. What we didn’t know was how epic the sunset is, it’s so nice we came back the next day, did the signposted Gatton Park walk and watched the sunset in the van with a brew, much to the envy of other sunset watchers! There were quite a few dog walkers and lots of people on mountain bikes, now we have bike ourselves I suspect we’ll head back up there and find the trails the riders were heading to if any exist.